Label this the “Hello, you – that’s a smashing blouse” introduction. I’ve spent far too long wading through this début albums thing. I have a life, you know. Things to do, people to meet, shins to kick. The publisher who showed interest in my novel now thinks I’m dead, and it’s all because of records. Or if not records, then I’m definitely blaming you. #30 Nine Inch Nails / Pretty Hate Machine And whilst it’s easy to dismiss the whole Trent Reznor shtick – the lyrical juvenalia, the shock rock undertones – there’s an astute synth-pop record peeking through the mist. A punchy sort of equilibrium, referencing Reznor’s understanding of the first wave of British synth-pop. Best known for the sharp voltage of ‘Head Like A Hole’, the stand-out track to these ears has always been ‘Something I Can Never Have’ – fragile and haunting. #29 Chapterhouse / Whirlpool Should you wish to strip this type of music down to its base components – the swirling guitar, the waves of crashing texture, alluring backing vocals, songs that when placed back to back, slide towards some kind of togetherness greater than the sum of its parts – this début has it all, and then some. Certain records make the listener tremble – and its not always wise to work out exactly why. Perhaps all you can admit when you look into the mirror is that this album enfolds you in its echoed embrace. This, ladies and gents, is the definition of swoon. 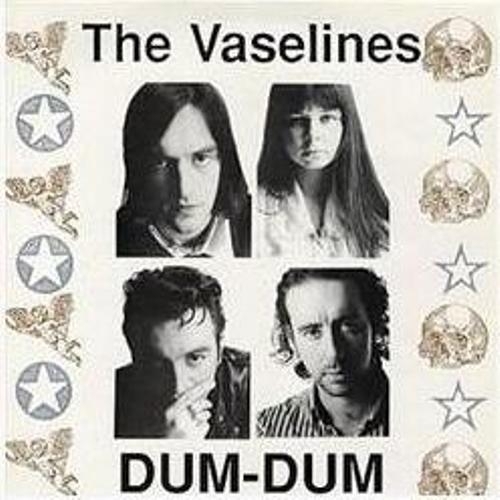 #27 The Vaselines / Dum-Dum This list features a fair amount of Glasgow jangle – for which I offer no apologies. There could have been even more; Orange Juice and Teenage Fanclub being obvious omissions See also: Edinburgh’s The Shop Assistants, who perhaps came closest to the sheer rough-and-tumble joy behind the Frances McKee / Eugene Kelly axis. As with the preceding EPs, Dum-Dum sounds like it was recorded in a launderette, with random ideas thrown in its direction in the hope that some stuck. They did. #25 The Magnetic Fields / Distant Plastic Trees Because it isn’t simply about the music. This isn’t a construct that sits in isolation, quarantined in the ambient thrum of an amplifier or the vinyl’s precious grooves. Instead, the attraction to sound feeds from the relationship between each track and every listener – that unquantifiable element unpinning the experience of aural verisimilitude. It’s music as context. The sights, sounds and emotional flavours that serve as backdrop to a song breaching your awareness. This is music as an extension of memory, sonic structures that embed themselves into who you are – or who you were and what you’ve now become. Also – ‘100,000 Fireflies’. Haunting, knowing, wonderfully erudite. It’s specifically unorthodox – a début single (!) that employs an obtuse arrangement, archaïques instrumentation, and in Susan Anway, a vocalist whose warmth isn’t immediate – yet the assemblage directly points to the striking; a paean to savage, undercut ennui. #24 Wendy Carlos / Switched-On Bach Moog. Moog moog moog moog moog… I could write an essay on this. Or I could simply admit that a kitsch exhibition re-defined the music I’ve proceeded to listen to on a daily basis – because no further words are necessary. #22 Jeff Buckley / Grace It’s not easy to consider Grace in isolation; would our appreciation be any different had he lived, and his début merely pointed the way into deep back catalogue? I think so; gifted his father’s voice, he used it to express an inordinate vulnerability; the first verse of ‘Last Goodbye’ alone – “You gave me more to live for / More than you’ll ever know” is like a punch to the solar plexus; one of the finest relationship requiems ever recorded. This isn’t an album without issues; the production’s far too clean, an execution as if hermetically sealed. The qualities that endeared his music to me back then – the emotional dexterity, the angry-young-man urgency are still there; it’s my ability to assimilate that’s become deadened through years of self-abuse and jangly guitar. But then I place Grace delicately on the turntable, and the voice makes so much sense all over again. #21 Aztec Camera / High Land Hard Rain “If there is a theme to High Land Hard Rain, it’s about unrequited and requited love, and the key track lyrically and musically lands square in the middle of the album, the dramatic centrepiece. ‘We Could Send Letters’, at 5:51, is the longest song on the record, and it feels like the key track in Frame’s eyes. The opening is perfect – golden acoustic chords backed by a punchy descending bass line – and then it just gets better. Clattering drums, angelic voices in the chorus, the most exquisite jazz-inflected acoustic soloing from Roddy which wouldn’t sound out of place on an Bert Jansch record, and the Frame vocals – concerned, urgent, pleading but never desperate – behind a lyric telling his love to hold on. There’s scarce a bum note anywhere on High Land Hard Rain. ‘Walk Out to Winter’ and ‘Back On Board’ both summon the sensation of renewal and optimism forcing though doubt and uncertainty. ‘Lost Outside the Tunnel’ is the sound of a feel-good smokey club trio. ‘Pillar to Post’, going straight into the chorus, soars from the first note. Even ‘The Bugle Sounds Again’, which does contain a rather wobbly trumpet solo, makes sense as an inner voice calling just one more time for a stab at love.” – Richard Folland, Popmatters. Is one of those tricky EP/mini-album vs LP debates that could go for ever. That ‘This Is Your Bloody Valentine’ moment. Oh yes. “Whirlpool”. Wonderful album. This list just keeps getting better.